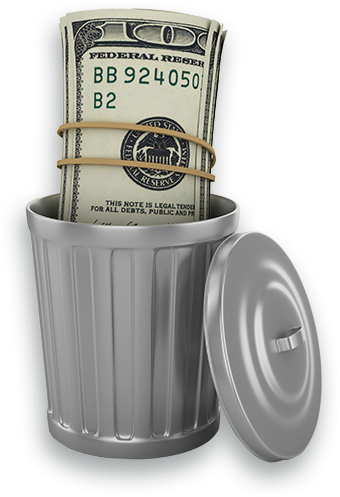 We pay up to $50 in cash for your scrap metal! Let C&K Metal Recycling help you turn your scrap metal into cash today! For more than 30 years our family owned company has been helping individuals and businesses in the West Virginia area properly recycle their metal scrap and put money in their pocket at the same time. As the area’s largest metal recycling facility, we have the manpower, the equipment, and expertise to process even the heaviest loads. Stop by and see our facility that is conveniently located on Rig Road, Moorefield, WV. Recycle Scrap Metal and Fundraise for Your Organization! Do a “Cans for Cash” or “Metal for Money” drive! Simply call C&K Metal Recycling to set up a donation account. Then spread the word to those in your organization and others that you can contact to bring their recyclable metals to C&K Metal Recycling to donate! We will give them a receipt for the transaction which could be tax deductible depending on your organization. We will also track the donations for your group, and then send you a check on a monthly basis! This is a great way to help the environment and raise money! If you are looking for a honest, fair, and dependable metal recycling company to help you earn good money for your recyclable metals, then C & K Metal Recycling is your next stop. We offer exceptional customer service and strive to build lasting relationships with our customers. So whether you are an individual looking to get rid of a few items, a part time or full time professional dealing in metal recycling, or an industrial company looking for short or long term solutions, C & K Metal Recycling can be of service to you. For more information on what services we provide, call us today! ©2019 C&K Metal Recycling. All Rights Reserved.